Discount Ninja leverages the out-of-the-box Shopify discount codes. After creating a discount code an additional option will become available in the menu. 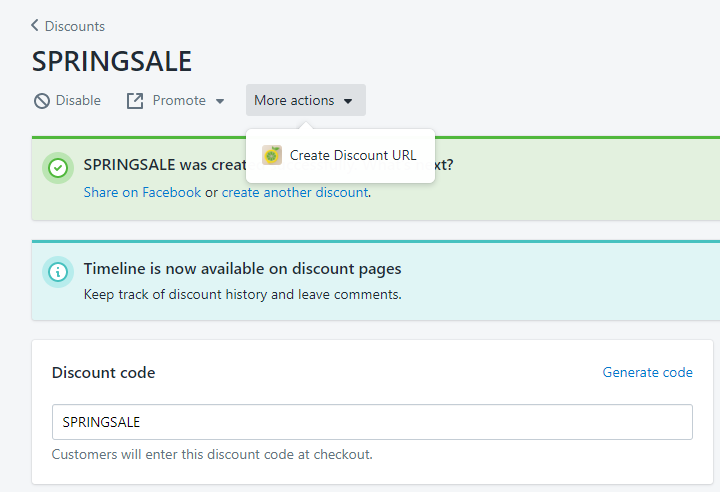 The shortcut "Create Discount URL" allows you to build a promotion based on this discount code.